In all honesty, MCN hadn’t expected great things of this bike. 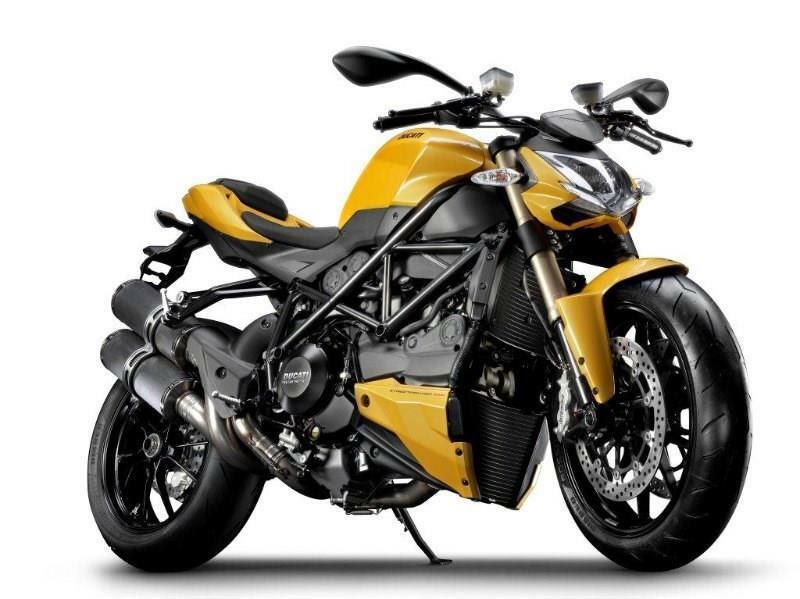 On one hand the new bike was at best surely only a ‘lesser’ version of the already aging Streetfighter 1098 – a bike that has slipped down the appeal ladder due to its cost (Streetfighter S model only foand overpowering performance. On the other, even though significantly cheaper than the 1198 version it’s still much pricier than likely rivals such as Triumph’s Street Triple and MV’s Brutale 920. But then you get to ride a demonstrator and suddenly you’ll be smitten – especially if riding in the twisties, where it’s racing pedigree shines through in its chassis. Couple this with a far more user-friendly engine than the 1098 version and you get a modern, sporty, naked Ducati that works. 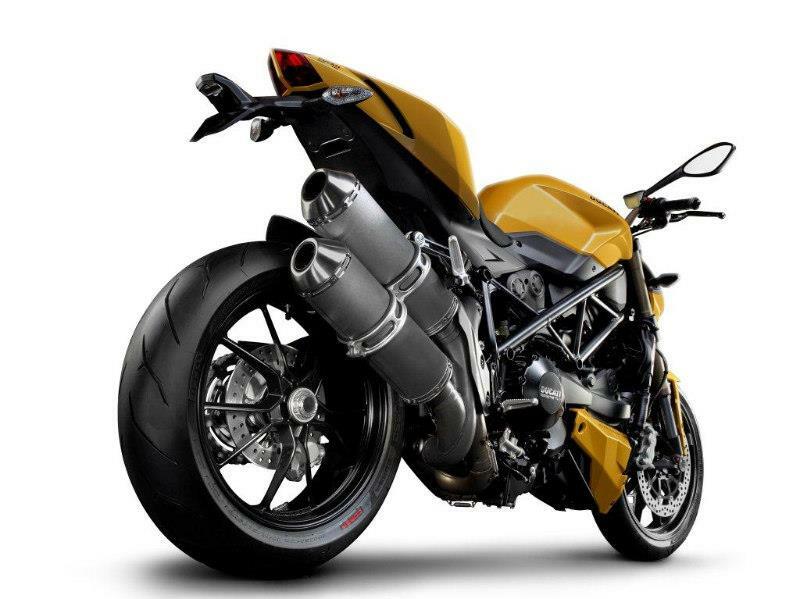 The Streetfighter 848’s ace card is the perfect balance of chassis and engine. Engine braking complements the rider’s decision to slow down. Brake hard and the chassis doesn’t get fazed; no lifting rear wheel; no serious dive to cause the front end to pirouette around the headstock. There’s so much feel from the tyres that waiting for that last yard or two to tip in for high corner speed becomes the norm. Not even a deft touch of brakes mid corner fails to upset the bike. The simple matter of raising the height of the one-piece handlebars by 20mm is in answer to Streetfighter 1098 customer feedback and it makes a big difference to rider comfort. It gives a sit-in the saddle riding position rather than being stretched on ye olde torture rack. Overall the rider feels in control from the off. Take the engine; a high performing 849cc V-twin. It’s racing heritage of Testastretta engine with Desmodromic valve actuation, oval inlet manifolds and is nothing else but a smaller version of its still conquering 1198 racing weapon. With a claimed 132bhp and 69ftlb of torque, it’s a potent little beast. That Testastretta engine is strong. Pull away with a fistful and the bike responds with little clutch action to smooth the V-twin pulses and crank clatter for clean drive. Even with the traction control turned off, the simple action of rolling open the throttle hard isn’t enough to loft the front wheel. But clutch it with revs and 848 becomes a wheelie champion from Italy. The engine feels lazy like Ducati’s of old. It doesn’t tear off in a blaze of revs but rushes forward. It’s deceptive. 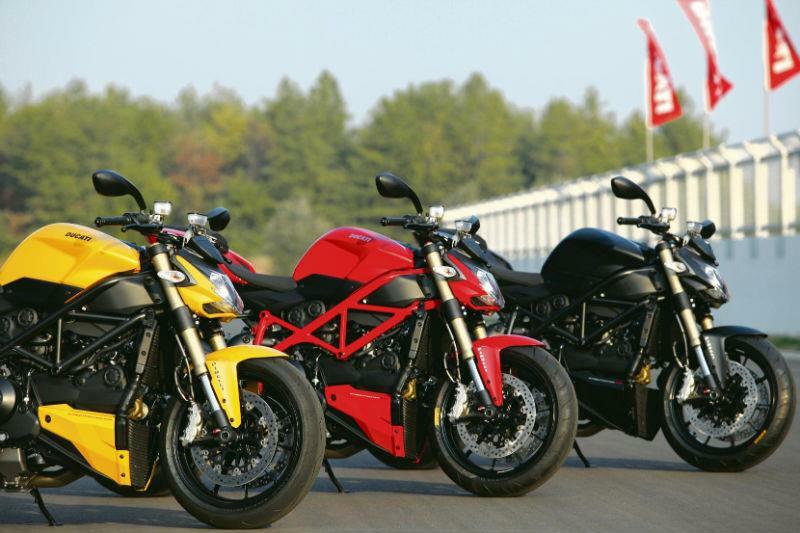 Ducatis are exotic, high-priced performers with iffy reliability records… Sorry, but this is wrong. Ducati’s record level is actually very high and getting better all the time thanks to a big push on build quality. Ducati will, however, always be considered exotic because of its Italian breeding of design flair, beauty, sporting genes and technology. There’s quite a good sized chunk of technology about the Streetfighter 848 and at just over £10k new we are paying for it. Triumph’s Speed Triple is cheaper and with the two bikes tackling each other on the road will make for interesting reading. 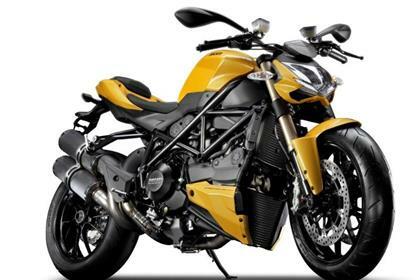 Ducati’s are always more expensive, it’s the nature of the beast. Take the engine; a high performing 849cc V-twin. It’s racing heritage of Testastretta engine with Desmodromic valve actuation, oval inlet manifolds and is nothing else but a smaller version of its still conquering 1098 racing weapon. Add to this a battle proven chassis of single-sided swingarm, Brembo radial calipers, fully adjustable Marzocchi USD front forks and Sachs rear shock, and you know the Streetfighter 848 is a sporty little number, in every sense of the word, with upright handlebars. There’s also eight-way adjustable traction control (DTC) and it’s wired up ready to play with a basic data-acquisition (DDA) system to read back throttle position, rpm, speed, gear selection etc. There’s also the connections in place for a Ducati Performance accessory quick shifter to be used. 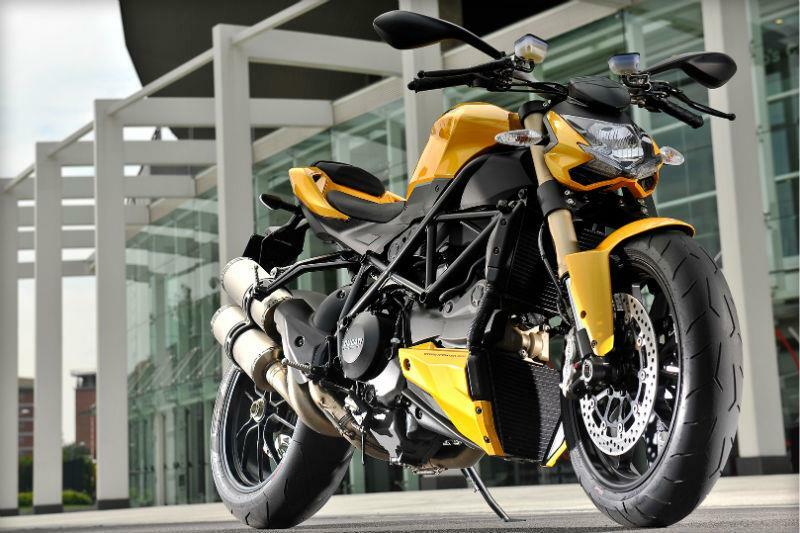 The Streetfighter 848 also comes with Pirelli Diablo Corsa 3 tyres. Varied compound tyres that are durable but sticky on the edges where it matters. What is different, though, is the fitment of 180/60 profile rear tyre instead of the tried and trusted 180/55. This is a first on any production bike. Engine type Liquid-cooled, 8v, Desmo, four-stroke, 90° twin-cylinder. Six gears. 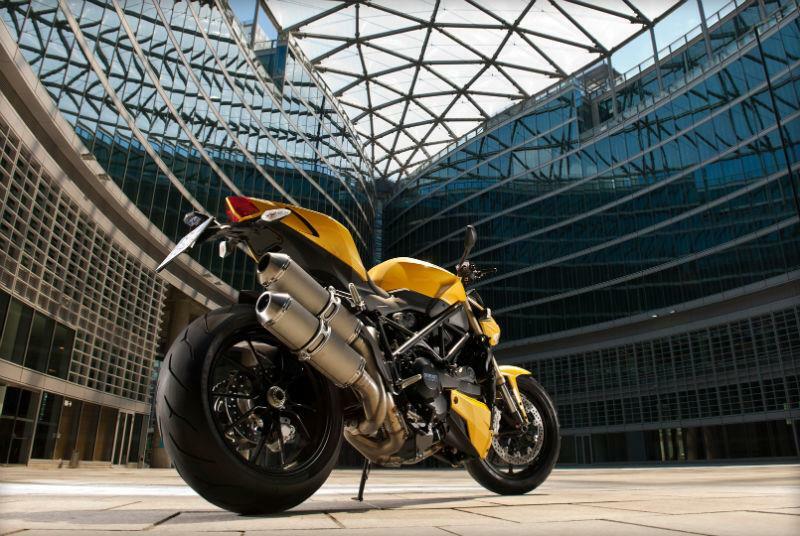 Ducati Streetfighter (1098) – the original bad-boy Streetfighter. 155bhp and 85ftlb of torque make it a formidable weapon even for experienced riders. 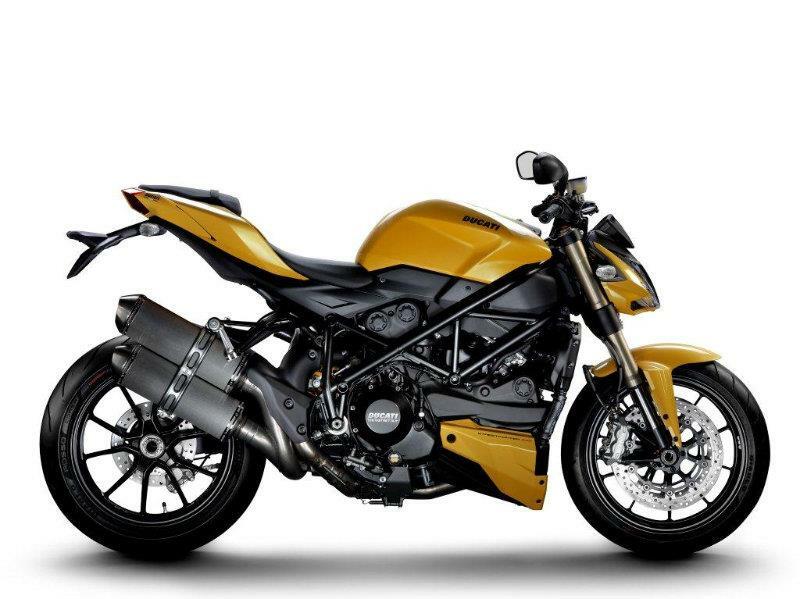 4 owners have reviewed their DUCATI STREETFIGHTER 848 (2011-on) and rated it in a number of areas. Read what they have to say and what they like and dislike about the bike below. Wife refuses to ride pillion. Both ignition coils failed in the first 100 km of ownership (bike was bought brand new). Rear rocker gasket weeped oil (fixed under warranty). While repairing previous fault, an incorrectly fitted tank was noted, resulting in a replaced rear rocker cover and tank mount. Bought from dealer, $20,500 on the road. In two words: love it! 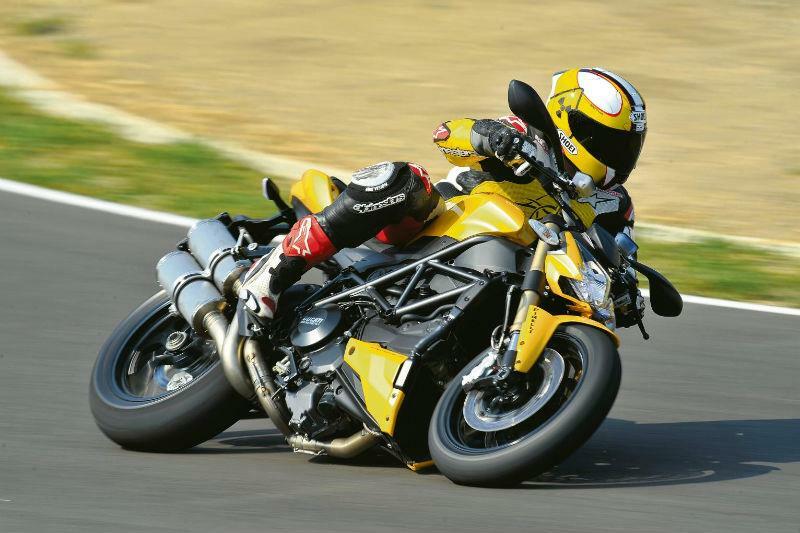 It's hard to explain the attraction of Ducatis: they're brutal, unforgiving bikes that demand a lot of commitment but produce so much pleasure in return. If you like that then it's the bike for you, otherwise go get something else. My previous bike was a super fun Monster S4Rs, a real brute that almost killed me a few times. And I guess that's what I like most about the SF848, it still has the rawness and punch you expect from a Ducati but is less extreme. Don't fool yourself though: it's still way more demanding than most other bikes of comparable power and size. Although I love mine I wouldn't think of it as my only bike for city traffic - too damn demanding!!! For fun though, nothing comes close at this range. And I've tried quite a few in the bunch! So much fun. Engine is a peach and sounds lush on standard cans; must sound like a spitfire aircraft at full chat with a fruity can added into the mix. Normally I'd have fitted a couple of termies but have resisted....see previous sentence. Handling is top notch.....so easy to drop into corners....I go hunting for the twisties. It's as quick as anything else on the road until a long straight lets the SS bikes make the most of fairing and BHP. But in the real world my 848 is plenty fast enough. Build quality is top notch (its my second Ducati bought new and I'm pretty fussy) OEM tyre choice is great. Wet clutch is better than I was expecting. TC hasn't been needed but reassuring....maybe too much but I haven't been caught out. Can't think of another bike I'd rather have...it's got attitude, looks fab, and draws attention at lights and when parked (probably elsewhere but I'm too busy smiling in my lid to notice). This bike has left my gixxer600 unriden for 3 months-that's how much fun the Duc is. If u buy one u will not be disappointed-see MCN long term report.